Optimising IT are a forward thinking IT service provider based in Gloucestershire. Regular users of video and teleconferencing they recognised the need for good acoustics in their meeting room. Modern meeting rooms tend to be clutter free and lack soft furnishings such as curtains so controlling background noise whilst maintaining a stylish appearance can be an issue. 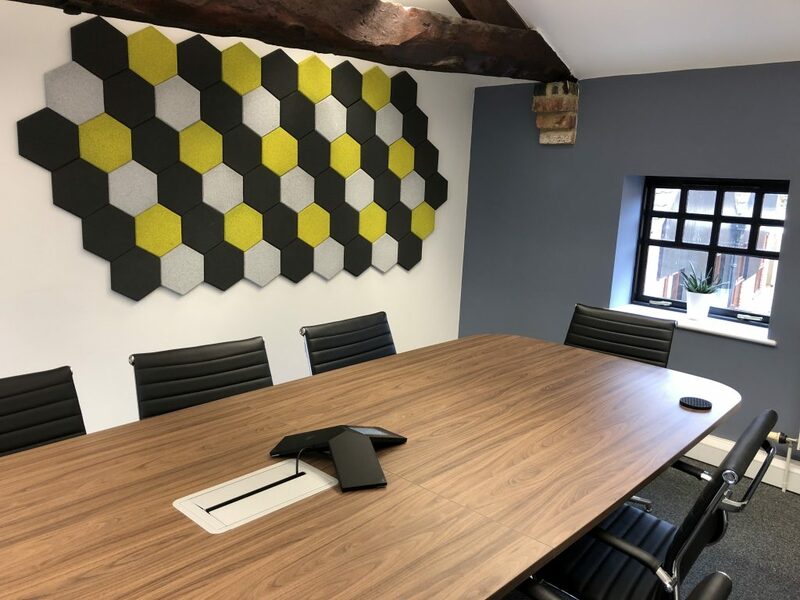 Quietshapes acoustic tiles were selected, manufactured in their their companies colours in hexagon shapes to reflect their branding. This product offered both a high acoustic performance together with modern stylish look customised to reflect their cooperate branding.